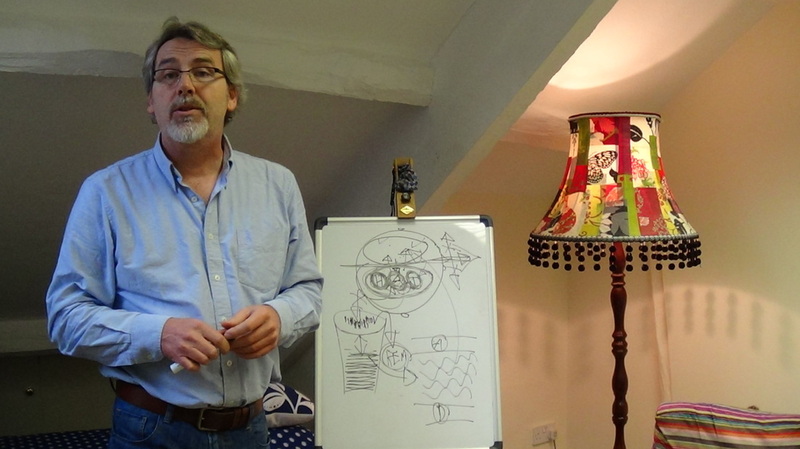 I studied with CPHT Hypnotherapy Training at The Clifton Practice and The Observatory Practice – Widely recognised as leading lights in UK Hypnotherapy and Psychotherapy Schools and practices. I am fully qualified with a DHP: Diploma in Hypnotherapy & Psychotherapy and an HPD: A Hypnotherapy Practitioners Diploma which are considered to be the Gold Standard of professional qualifications in modern, forward thinking, clinical hypnotherapy. My practice is supported by a Master Practitioner who mentors my professional development and I attend regular supervision and continuous professional development training sessions, to keep abreast of the latest developments in therapy and neuroscience. Well I guess an important thing to learn about me is that I can honestly say that I am doing exactly what I was destined to do! I absolutely love my life and my work helping my clients to transform their lives and I think that fact is reflected in the incredible results that I have the privilege of witnessing every week. However, it's just as important for you to learn that my life has not always been this way! From early childhood I suffered with anxiety and a lack of confidence. I felt constantly judged and that I was never good enough. I wasn't clever enough, I couldn't run fast enough, I wasn't tough enough etc etc. I was rarely happy or felt connected. I always felt detached from those around me and as I grew into adulthood I felt at times I was going mad. Despite all this I led what appeared on the outside to be a fully functioning and at times highly successful life! ​I don't know how or why but I was lucky enough to be able to 'pretend' that I was confident, positive and in control, even when I felt on the verge of madness! But luckily I never lost my spark of belief that things could be different, better, that I could somehow conquer all of my demons! So I searched, I studied, I read, I tried, I learnt, I practised, I was determined to find my own way out of the darkness. And eventually....I did! I now look back at my years of pain and suffering as my apprenticeship and it was these experiences that led me to study to become a professional clinical hypnotherapist and psychotherapist. But I know that what gives me the edge, that what makes the relationships I share with my clients so special, what enables me to instinctively 'know' how best to help, is the fact that in many cases, I've been where they are, and I know the way out! I now live my life free from the suffering caused by compulsive thinking and enjoy the peace, stillness and deep contentment found in living fully in the moment. "It's not that some people have will power and some people don't, it's that some people are ready to change and others are not!" I wanted to share the quote above because I love words and the effect that they can have on us; they can inspire us, they can make us laugh or cry or make us angry. In fact every positive human emotion that we have can be triggered by simply putting ‘the right words’ in the right order. But sadly, the reverse is also true; when ‘the wrong words’ are used we can trigger every negative human emotion and limit potential for change. Interestingly this is not just true of the words that we say to others, but also, and more importantly, it’s true of the words we say to ourselves. For example, if you say or even think the words "I can’t!" you are unconsciously limiting your own potential for change! By using ‘the right words’ to awaken latent abilities that previously appeared to be beyond deliberate control, Solution Focused Hypnotherapy brings about positive, lasting changes to the way that people think and feel. This helps them to make the most of life and enable them to reach their goals. Put simply, the way we think, determines the way we feel, and the way we feel, ultimately dictates what we can or can't do! Change the way you think, and you really can change your world! "Graham said he could help me to stop biting my nails and although a bit sceptical, I decided to give it a try! Well, I no longer bite my nails, but I'm also more relaxed, more organised, I sleep better, my mind is clearer and more focused, even my piano playing is improving as I easily control any nerves! What can I say ? It really does work!"